All About Indie Filmmaking: Feature Your Film on This Blog! Feature Your Film on This Blog! I have decided to offer a new service on All About Indie Filmmaking. I get a large number of requests by filmmakers for me to feature their film on this blog. I haven't been able to do this in the past to the extent that I'd like because I feel that if I write about one then I need to write about them all - and that would be a full-time job. And I'm not really a film journalist - I'm an indie filmmaker with a blog - so I've never felt like it would be appropriate for me to act like a journalist. But I do see a need for more platforms that can bring exposure to our work. I want to open up my blog to help promote the work of my fellow filmmakers more than I'm able to do already. For a small fee of $20, I will do a Q&A with a filmmaker (writer/producer/director etc) and then post it on this site as a blog entry. Q&As with filmmakers are always a huge hit. 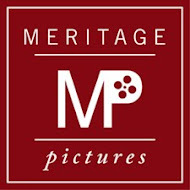 Here's a link to the feature: http://www.allaboutindiefilmmaking.com/p/features.html. Or hit the button at the top of this page. Email me at allaboutindiefilmmaking@gmail.com first to request the feature and then payments can be made via PayPal to paypal@meritagepictures.com. I hope you spread the word and we can get more exposure to indie films! Thanks everyone!